The alien monster invaders have left Bricksburg in ruins. It is now up to Emmet and a host of heroic characters to go beyond their world and save their friends from the strange inhabitants of the Systar System. Journey into outer space, discover new worlds, and test your Master Building skills. Emmet, Lucy, LEGO Batman and their friends are back along with new and mysterious characters such as General Mayhem and Rex Dangervest. 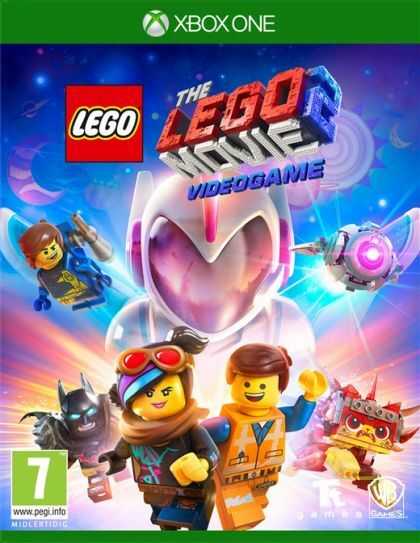 Unlock and play as over 100 playable characters from The LEGO Movie 2 and the first film. Journey to the Systar System and discover new worlds. Scour the LEGO galaxy for Relics and Master Pieces. Explore new worlds from LEGO Movie 2 and revisit iconic locations from the first film. Build special LEGO objects to discover new areas and items. Unleash your inner Master Builder and rebuild your own world. Use tools to create roads, change the landscape and build structures to unlock more rewards and missions. Battle against the alien space invaders and challenging bosses. Use combos to unleash a special build attack for each character.